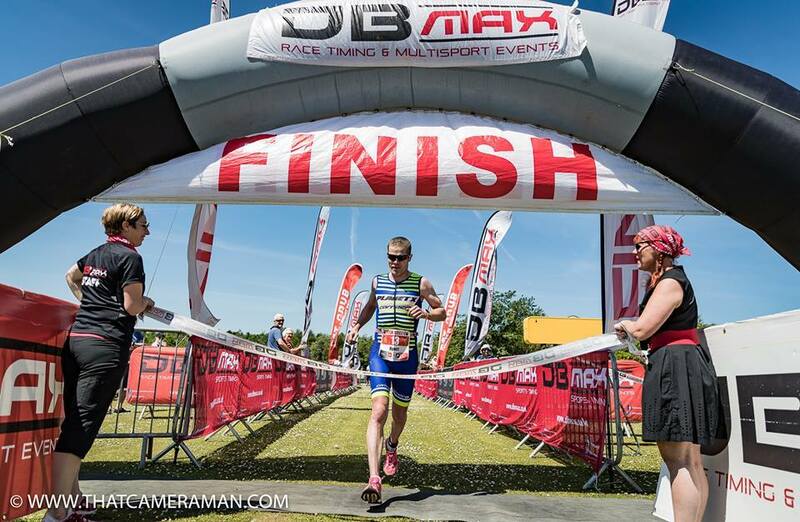 DBmax events is run by an old friend, Will Whitmore and they do put on some great events. 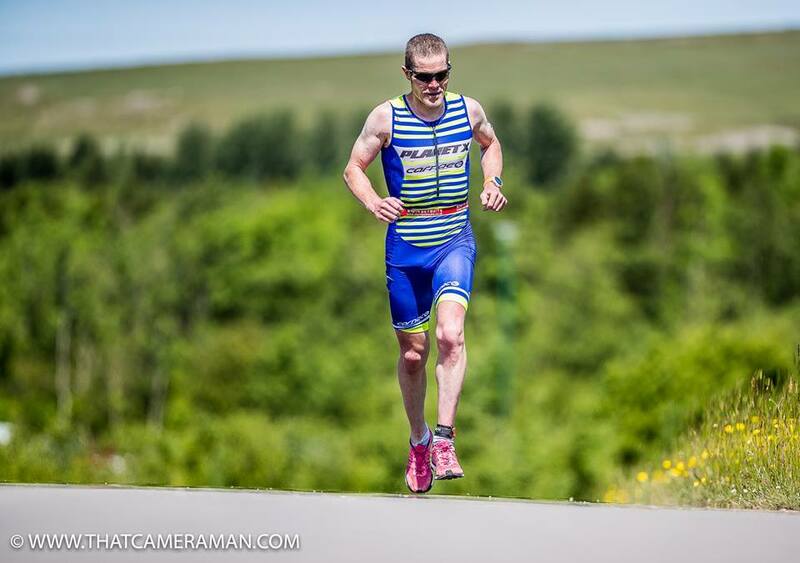 This was going to be the first Triathlon I have ever done in my home country so although had been on the agenda for the year, it only really became a focus once back from 2 weeks of training in Annecy. 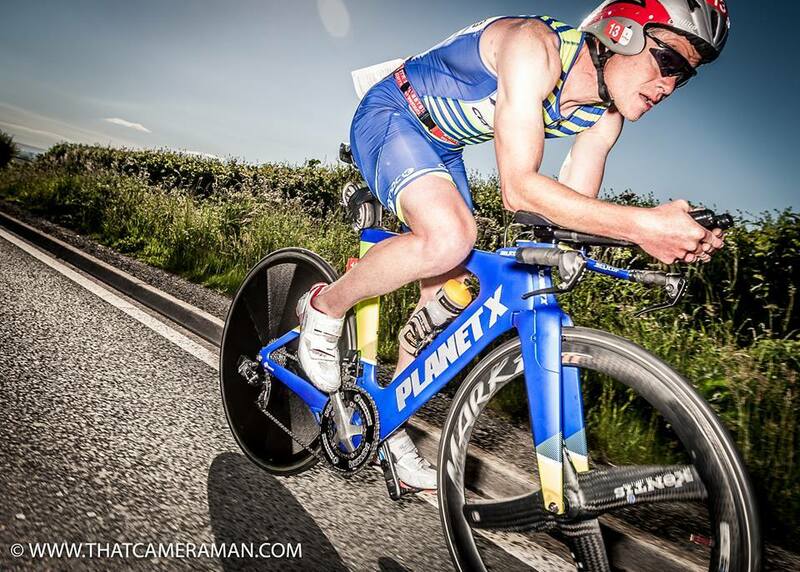 The week before had not gone that well, mainly struggling to find the run legs and then turning laid back road bike mileage into speed and comfort on the new TT bike, the Planet X Exo 3. A few rides this week and 2 hours was the comfort limit. A few faster rides, then a home session of looking at position and alignment would have to be enough to be able to race. Swimming in France and back in the pool had gone well. 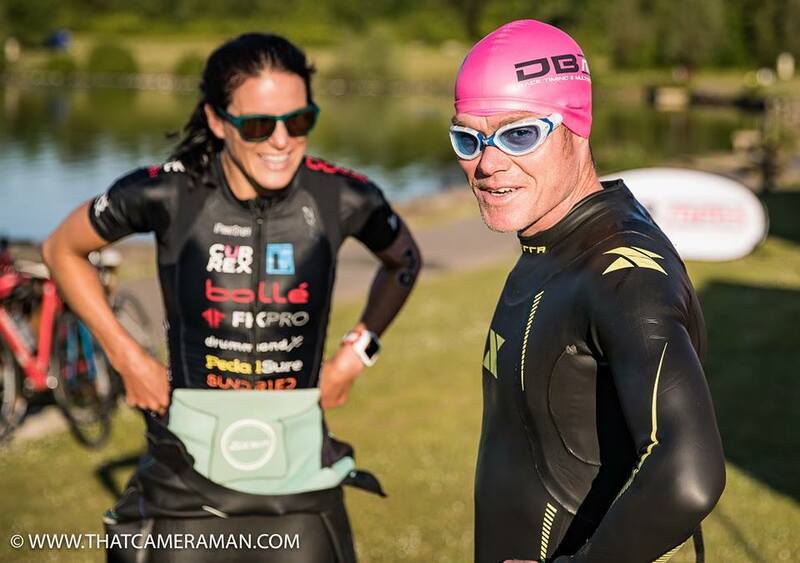 But on the start line of the Titan was Doug Hall, who was 7 mins faster than me when we raced over full distance in 2010, and team member, pro athlete, Alice Hector…who swims a lot faster than me. 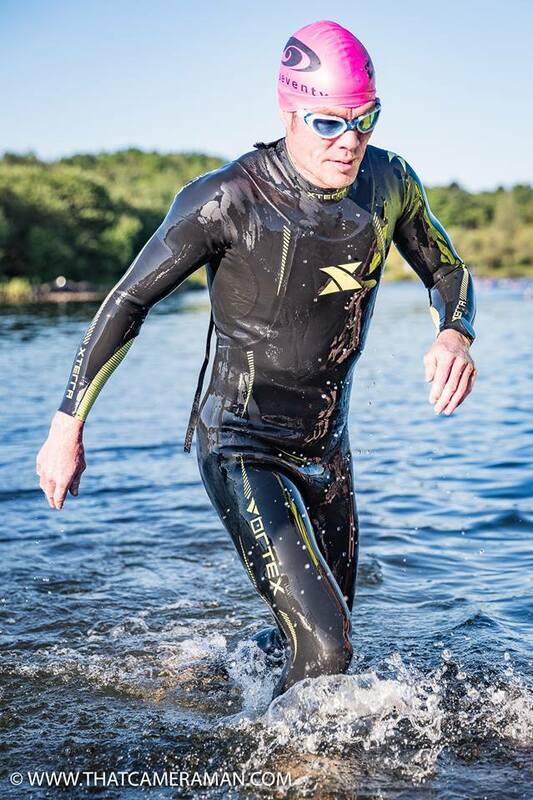 The swim in Parc Bryn Bach lake was actually quite pleasant. A fear of thick duck poo, sheep poo and probably human poo considering that the park in Tredegar is the equivalent of the beach for the local pikeys, but it was pretty clean. Cool but not cold, weedy in places but very clear. 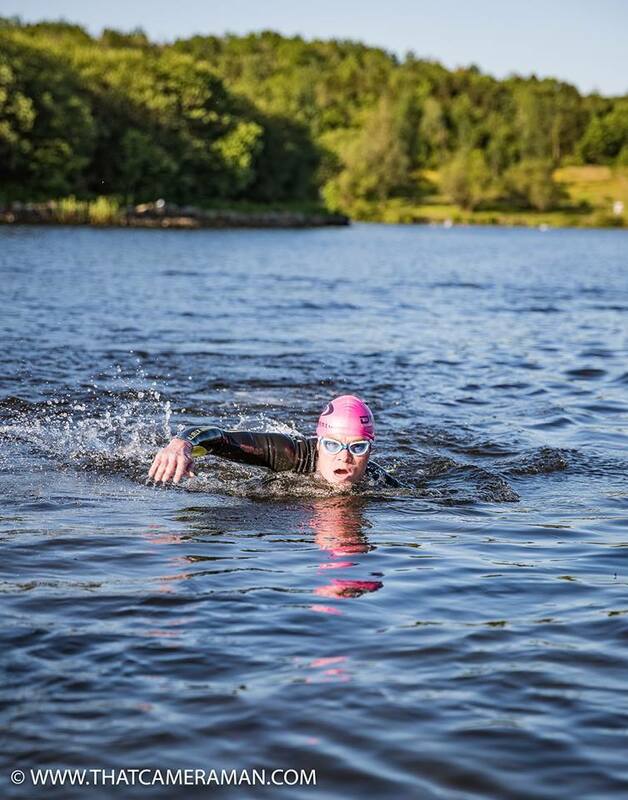 Off the gun, this was my best ever triathlon swim. No panic attack, clear water for 400m then saw Doug and Alice swimming together and grew a pair in the cold water to attempt to catch them. 100 flat out strokes later, I was on the feet. Then it became easy. Swimming on feet makes a huge difference. Sighting taken care of with 2 experienced swimmers and moving faster than I would alone. 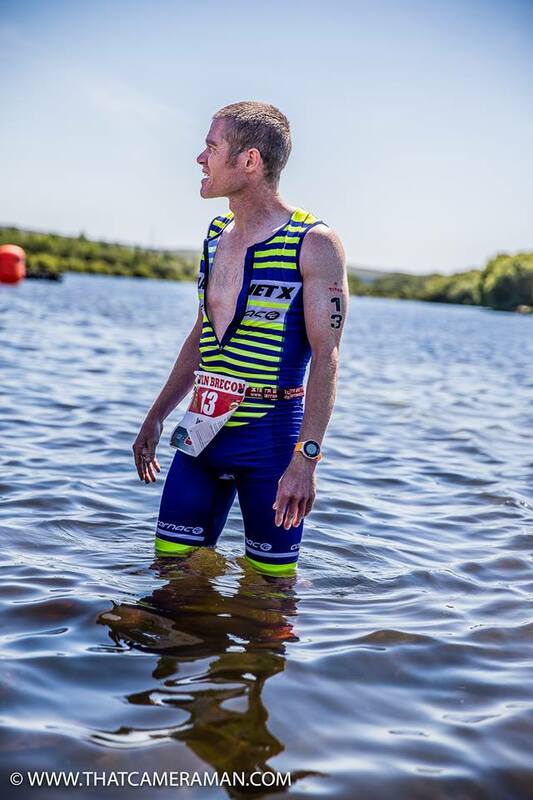 1st lap, out of the water…over a timing mat, 2 seconds behind and back in. All went well until the 1400m mark when Alice and Doug turned right, and I missed it. A few hard strokes to try and catch up but the gap had opened, albeit now just 5 seconds but enough to be swimming alone. I caught up a little, but exited the water 10 secs behind and in 4th place. 26.58 on my watch for 1940m Average in line with testing swims in Annecy. 13.55 average 1000m pace. Very happy and no sniff of a panic. On the bike on the road in 3rd place, but convinced I was 4th. One guy was way ahead, then Alice and Doug, and a big gap behind me. The road out was downhill, pretty fast and a few tight turns at roundabouts. Having spent 2 weeks loving descending on a road bike, turning quickly on the Exo 3 was not easy…the brakes not quite as strong and balance over the front wheel a bit hairy at times. Out of town and up to the top of Iron Mountain, the bike was climbing well. 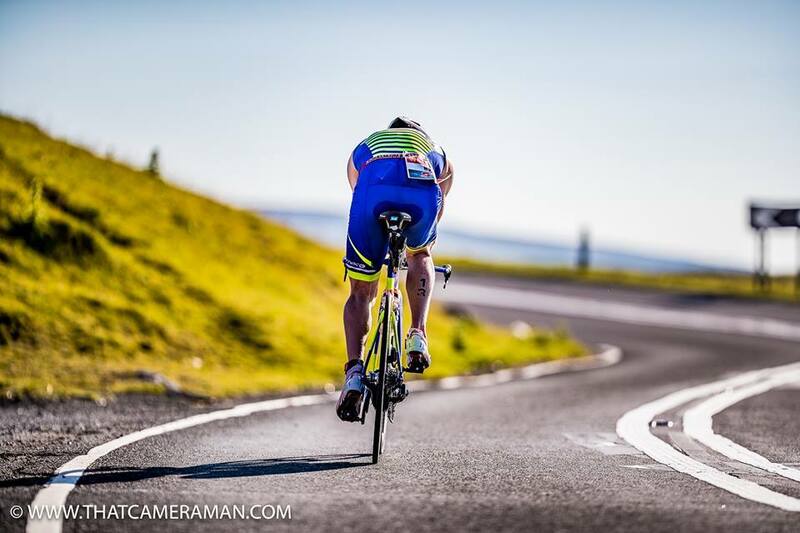 I had pulled back 2 mins on the leader and by the time we hit the 5k descent, it was a gap of 30 seconds. 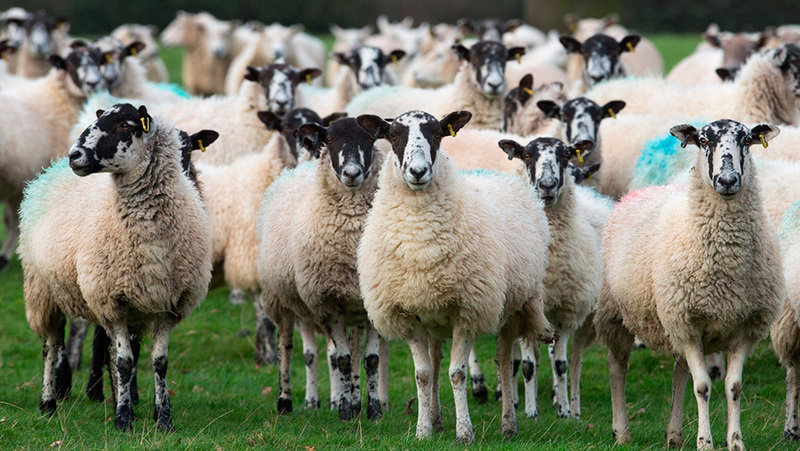 Lots of encouragement from the local sheep and rather than get too excited, I turned it into bike control to overtake the leader on the fastest part of the descent. At this point, I had no idea I was leading. Expecting Doug Hall to be a few minutes down the road, I tried to push the pace on the less hilly part of the course, a mix of very grippy narrow lanes and some fast single carriageway. A headwind, traffic and bumpy road is not conducive to fast riding but the course had great views of Pen Y Fan so all was good in the world. Reaching 30 miles and a turn back for home, but a glance behind saw Doug closing. Gap of about 30 seconds, so at least this confirmed I was leading but honestly expected to get away on the bike. A Steep climb of about 500m at Defynnog. Not the 5 mile at 30% that people talked about at the bar afterwards, but a steady climb and a steep section of 18%, enough to hurt the legs but a great descent and fast 8 miles, with tailwind and all was good with the world…until I tried to take out my water bottle. Hmmm… stuck. Stuck in the frame and rather than struggle and fall off, I left it. 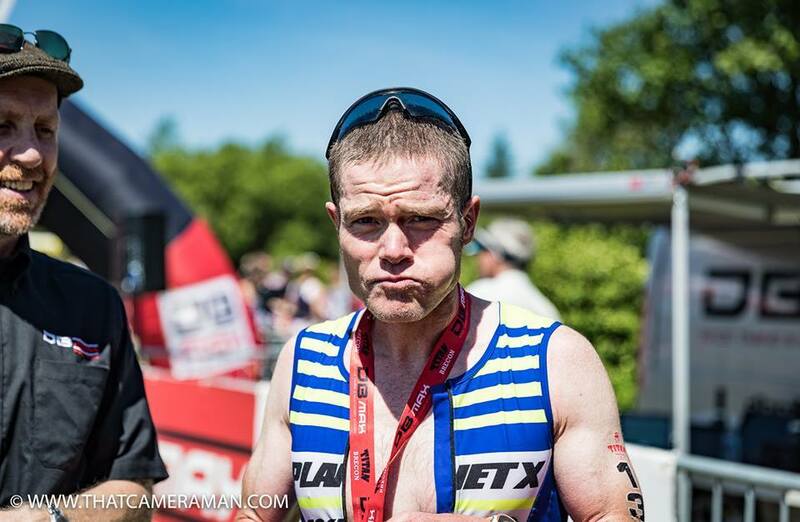 So Race nutrition consisted of….. Nothing! Well, just water on the run. Approaching the retrace back to the start, I got carried away following a bus and missed the turn. This is where Doug took the lead and I now followed, about 10 seconds back. The next 10 miles was a right slog. Heavy roads, lots of short climbs on tired legs and then approached the timed climb of the Iron mountain. The climb is not steep, not hard..but at 5k, quite long for a UK climb and enough to cause athletes to completely blow up. The plan was never to attack it hard, due to heavy bike and needing to save the run legs, but big ring the way up and save a bit for later. Anyway…onwards to the Summit and great views of otherwise virgin welsh mountains for me as racing in Wales is something I need to do more of…Check back in September. The descent off the mountain was pushed hard. A bit of traffic admin from local Corsa drivers who believe cyclists should not be on the road as they were picking up their weekly jazz mags but otherwise a good run in and opened up a few minutes on 2nd and 3rd place. T2 was very quick and out on the run…straight in at 3.40km pace and very comfortable as the first time I’ve run off the new bike. The pace was shortlived as the run route soon went uphill, then uphill again, a short downhill and uphill again to the turn point and back uphill. Yes, it was a bit hilly. Very open to the sunlight and heat but at least moving at a decent lick, the pace created a bit of light breeze to keep cool. Heat was never an issue. At the turn at 4.5km, the lead was up to 4 minutes. It was pretty much steady from then on, comfortable knowing the lead was growing about 3 minutes a lap, not too hot, not slowing down, and relying on 4 cups of water at each feed station. 2 over the head, 2 to try and juggle and get at least a mouthful of. Lap 2 and 3 pretty uneventful, running steady, never needing to push the pace and apart from a bit of gooch chaffing, nothing much to report. 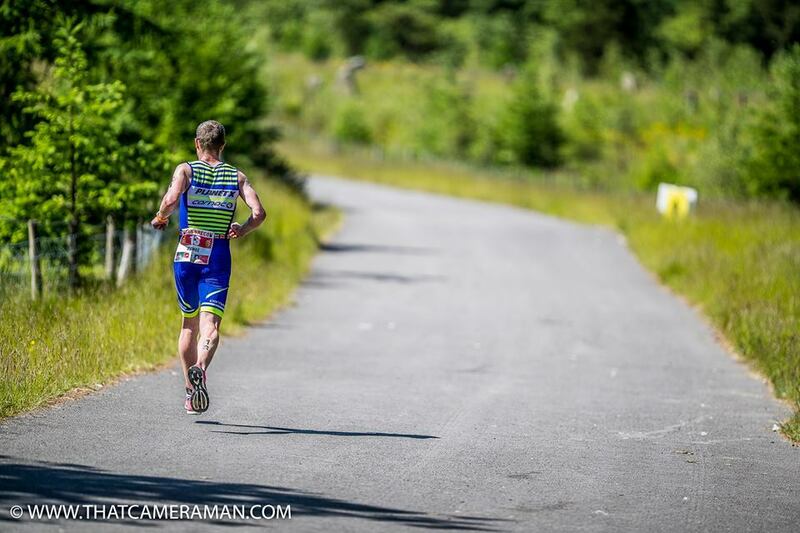 This is one of the only middle distance..ish races that I’ve actually felt like I wanted to run a few more laps. 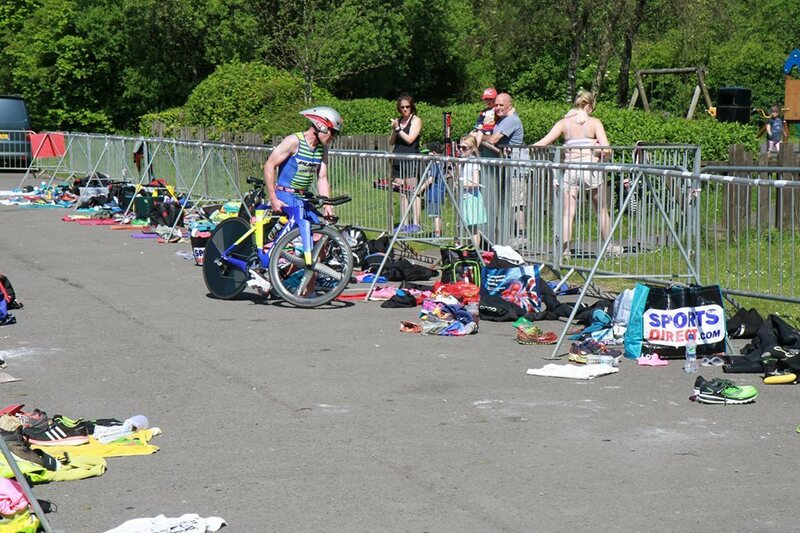 But this time, the thought of finishing, then jumping back in the lake was a bigger draw, followed by a world record for most flapjacks eaten in 2 minutes and fastest downing of a can of John Smiths after a triathlon. The Titan is an absolute cracker of a race. A good step up from a flat course. 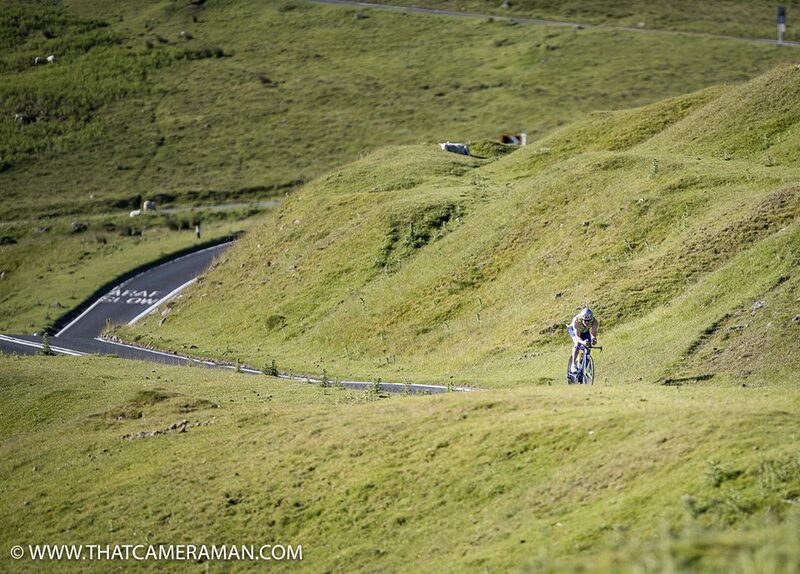 Honest, hard and hilly but very scenic, enjoyable and one of the best organised and athlete centred races around. Photos credit: www.thatcameraman.com and my dad. 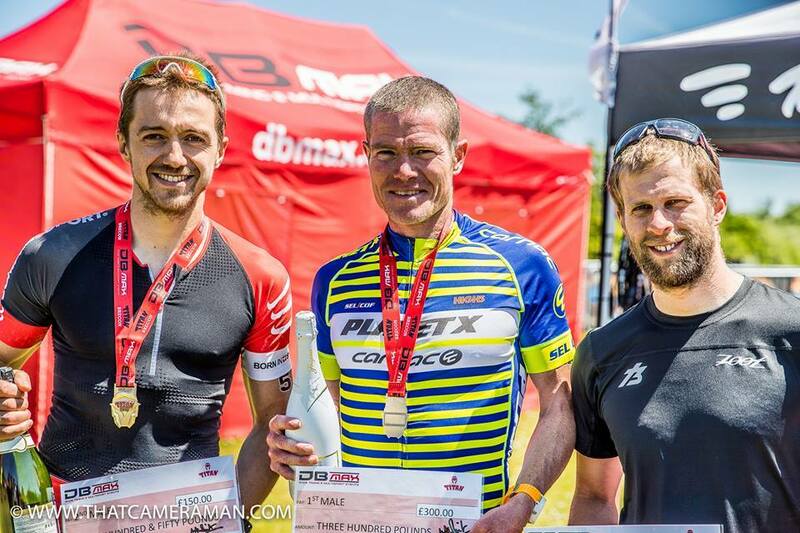 Thanks to: Will Whitmore of DBMax Events, Planet X bikes and Core Physiotherapy.